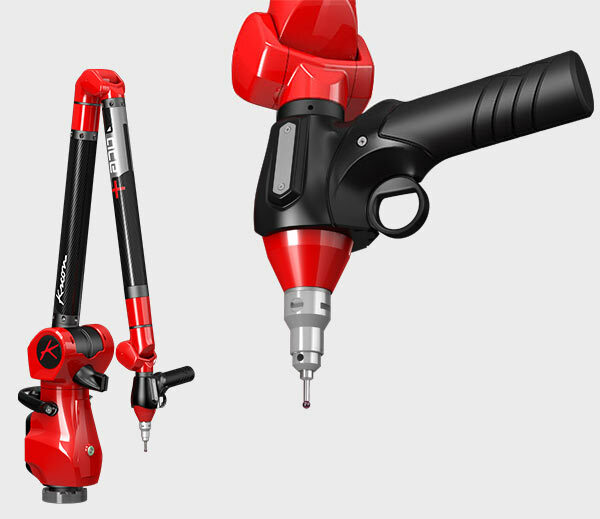 A measuring arm is a mechanical measuring system with two tubes and between five and seven axes of rotation. 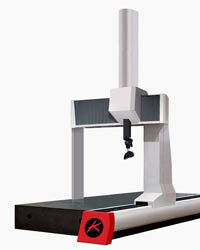 The accurate measurement of each angle of axes defines the exact position of the probe situated at the end of the arm. Different arm sizes exist with a measuring volume varying most of the time from 2‎ m3 to 4.5 ‎m3. Installing a measuring arm is fast because there are only an arm and a PC, connected to each other. Considering the reduced number of cables, it is more portable and more reliable. Highly precise mechanical links associated with temperature compensation provide excellent measurement repeatability whatever the environment conditions. 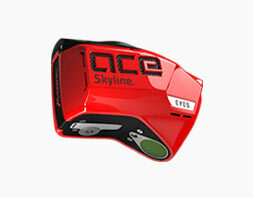 Volumetric accuracy for the Ace-7-25 is 0.038 µm. Sometimes measuring inside a machine tool, a vehicle or any small space is needed. Setback distance and big size imposed by trackers prevent them from being operational in such configuration. The measuring arm is here still manageable. Unlike optical systems, measuring arms are insensible to light variations. Thus, measuring arms are regularly used outside for probing operations, controlling industrial tools and large parts. When high portability is required, it is often hard to find power supply. 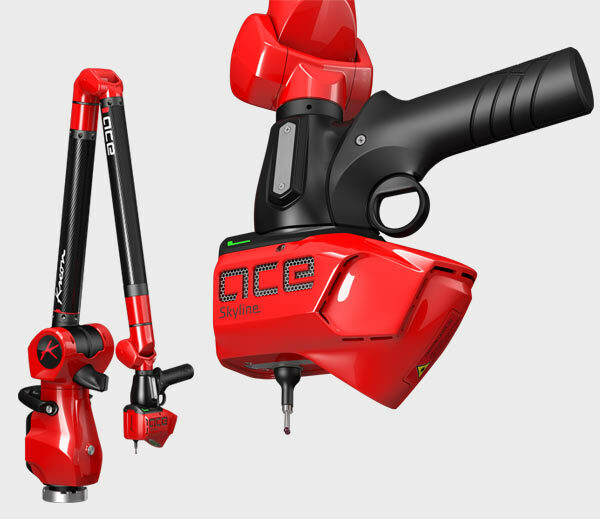 For probing operations, measuring arms can work up to 8 hours only on battery. With a measuring arm there are a few hard to access zones in the measuring volume. Thus, measuring the back or the inside of a part is pretty easy. These operations are almost impossible with a tracker because its cameras cannot measure what they cannot see, this is called shadow zones. The body of the user can also generate shadow zones preventing the measuring process. The optical tracker is a system combining two different elements: a tracker fixed on a tripod and a handle used by the operator. This handle is tracked and positioned in space in real time by the cameras of the tracker. Trackers measuring volumes vary, but are always large and well adapted to large part measurement. 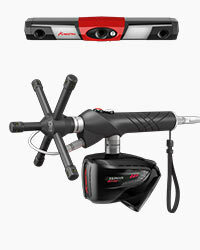 This article does not deal with laser trackers, which are a different products range. The operator has a total freedom of movement by using an optical tracker system. The handle seen by the tracker cameras is only linked with one cable and can be oriented in any directions without any constraints. Comparing with the measuring arms, tracking systems offer large measuring volumes reaching up to 35 m3. Given that volume, the measuring accuracy remains good. 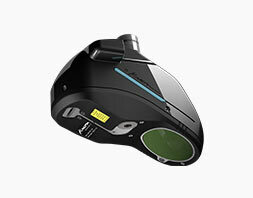 Volumetric accuracy for the AirTrack 3500 is 0.250 µm. Measuring volume can expand by adding one or several trackers. This configuration also allows the removal of most of the shadow zones within the measuring volume. When some targets have been placed on the part or on the fixture, the part can be moved while measuring. This is particularly useful to control both sides of a part in the same measuring range. Thanks to that functionality the tracker itself can be moved when measuring. In workshops, vibrations can interfere with measuring tasks, for example near the press or the entrance of heavy vehicles. The technology of the tracker offsets largely those vibrations, which is impossible with a measuring arm. 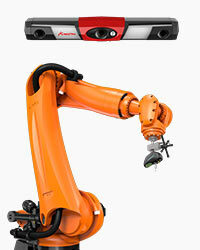 To answer automation needs, especially on production lines, optical trackers can be combined with robots. All types and brands of robot are compatible. 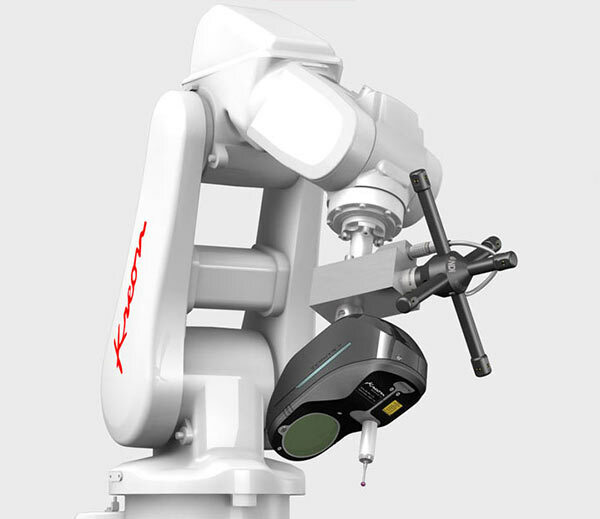 Moreover, the measurement accuracy is fully independent of robot precision. 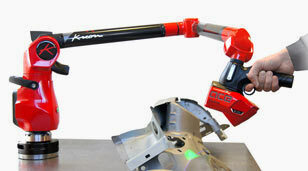 Measuring arms and optical trackers are high performance measuring tools. They have their own advantages for some applications and some working environments. Portability and accuracy are the key strengths of measuring arms when big measuring volume and freedom of movement are the strengths of optical trackers. 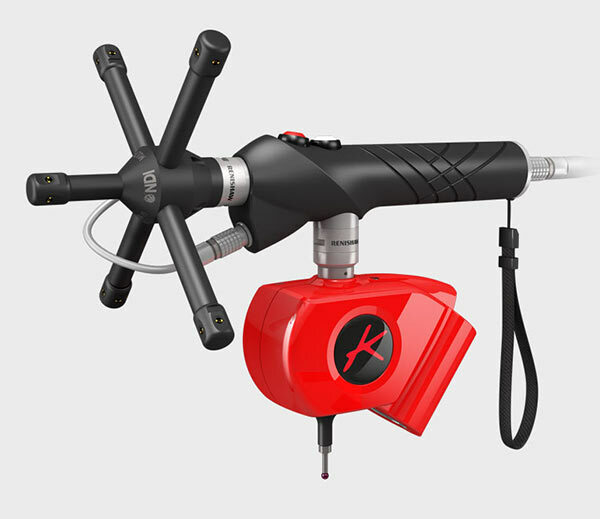 In some specific cases, when vibrations have to be removed or when automation is needed, only the tracker is the only solution but more generally, measuring arms can face a greater number of situations. These two systems have a short learning curve thus technical teams are trained faster. Their easy use allows numerous working hours without tiredness. 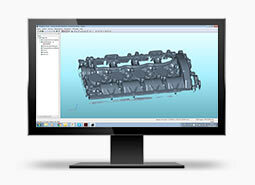 To finish, on top of probing operations, both systems can also be used for 3D scanning.